For microbiology and environmental microbiology courses, this leading textbook builds on the academic success of the previous edition by including a comprehensive and up-to-date discussion of environmental microbiology as a discipline that has grown in scope and interest in recent years. From environmental science and microbial ecology to topics in molecular genetics, this edition relates environmental microbiology to the work of a variety of life science, ecology, and environmental science investigators. 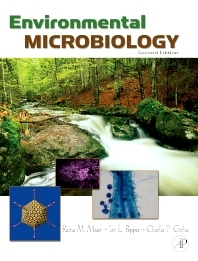 The authors and editors have taken the care to highlight links between environmental microbiology and topics important to our changing world such as bioterrorism and national security with sections on practical issues such as bioremediation, waterborne pathogens, microbial risk assessment, and environmental biotechnology. Introduction to Environmental Microbiology; Microorganisms in the Environment; Bacterial Growth; Terrestrial Environments; Aeromicrobiology; Aquatic Environments; Extreme Environments; Environmental Sample Collection & Processing; Microscopic Techniques; Cultural Methods; Physiological Methods; Immunological Methods; Nucleic Acid-Based Methods; Biogeochemical Cycling; Consequences of Biogeochemical Cycles Gone Wild; Bacteria/Bacteria and Bacteria/Plant Communication; Bacterial Communities in Natural and Engineered Ecosystems; Microorganisms and Organic Pollutants; Microorganisms and Metal Pollutants; Microbial Transport; Environmentally Transmitted Pathogens; Indicator Microorganisms; Domestic Wastes, Waste Treatment and Biosolids Reuse; Drinking Water Treatment; Disinfection; Water Distribution Systems and Biofilms; Domestic Microbiology; Bioterrorism and Biological Warfare; Risk Assessment. Dr. Ian Pepper is currently a Professor at the University of Arizona. He is also Director of the University of Arizona, Environmental Research Laboratory (ERL) and the NSF Water and Environmental Technology (WET) Center. Dr. Pepper is an environmental microbiologist specializing in the molecular ecology of the environment. His research has focused on the fate and transport of pathogens in air, water, soils and wastes. His expertise has been recognized by membership on six National Academy of Science Committees and former memberships on an EPA FIFRA Science and Advisory Panel. Dr. Pepper is a Fellow of the American Association for the Advancement of Science, American Academy of Microbiology, the Soil Science Society of America, and the American Society of Agronomy. He is also a Board Certified Environmental Scientist within the American Academy of Environmental Engineers and Scientists. He is the author or co-author of six textbooks; 40 book chapters; and over 180 peer-review journal articles. Dr. Charles P. Gerba is a Professor at the University of Arizona. He conducts research the transmission of pathogens through the environment. 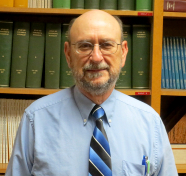 His recent research encompasses the transmission of pathogens by water, food and fomites; fate of pathogens in land applied wastes; development of new disinfectants; domestic microbiology and microbial risk assessment. He has been an author on more than 500 articles including several books in environmental microbiology and pollution science. He is a fellow of the American Academy of Microbiology and the American Association for the Advancement of Science. In 1998 he received the A. P. Black Award from the American Water Works Association for outstanding contributions to water science and in 1996 he received the McKee medal from the Water Environment Federation for outstanding contributions to groundwater protection. He received the 1999 Award of Excellence in Environmental Health from National Association of County and City Health Officials. Dr. Terry Gentry is currently an Assistant Professor at Texas A&M University and is also the Director of the Soil and Aquatic Microbiology Laboratory (SAML). He is an environmental microbiologist specializing in the development and use of molecular technologies to enhance the detection and remediation of environmental contamination. This includes the detection and identification of microbial pathogens from animal, human, and natural sources and also the characterization of microbial populations and communities contributing to applied remediation processes such as the bioremediation of organic and metal contaminants. He teaches undergraduate and graduate courses in environmental microbiology and environmental soil science. He is the author or co-author of over 45 peer-reviewed journal articles and 4 book chapters.